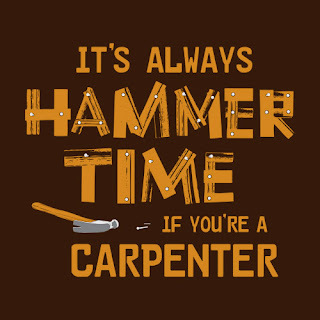 Somewhere along my recent Latin American journey I had a conversation with a friend who suggested that the big problem with people is that they use whatever hammer they possess to hit any nail they're presented with. In other words, management consultants will tell you the answer to your problem is strategy; marketing specialists will tell you it is presentation; IT consultants will chuck technology at it; sociologists will focus on impact; and business people will apply numbers. This is a classic example of the lack of critical thinking seen in problem solving today. The trick is not to start solving the problem immediately, but to strip it down to it's root causes or underlying success factors and go from there, rather than defining the problem by it's surface presentation. Marketing is the perfect case. Charities often tell me that they struggle to raise funds because their marketing is ineffective, or because they really can't afford any. When you strip it down however, you rapidly find that the problem is not marketing but what's attempting to be marketed. The vision is unclear, the services don't really fit together cohesively, outcomes are not compelling, and no one is really sure what this marketing is supposed to achieve. Your typical marketing person has no idea how to address any of these issues, and for the most part would never think to ask the questions - their skills are differently oriented. But the problem has been defined as marketing, so along comes the person with the marketing hammer and what you get is basically a paint job that doesn't stack up to closer look. Here's a couple of real examples from the last three months. I have tons of these from the last few years of advisory work. Startup: We need to build a better looking website. Real Solution = No you don't. Your organisation is too small to waste money and doesn't have the skills to manage a fancy website. Set your site up as a blog, using free platforms. What you really should do is to figure out how the web fits into your organisational strategy and then focus on creating more compelling content. Medium sized NGO: We need to scale into other countries. Real Solution = No you don't. Your organisation is not financially stable in its current location, doesn't yet have a neatly systematised model, lacks transferable skills/people and is still completely dependent on the CEO for direction. Scaling will spread limited resources even thinner, divert from delivering the core mission, and jeopardise both organisational survival and social outcomes. You should focus on developing a stable and replicable organisational model, both financially and systemically; and on developing human resource that can either run the organisation in the CEO's absence, or is at least capable of set up new entities without central direction. But someone has already offered us the funding for it. So the million dollar question: If you are the CEO of a social enterprise, how do you approach these challenges? The ability to look at root cause or key factors is a skill you must have in-house, or on your board. Only once you know what you're really dealing with, should you start looking for people to help you solve the problem. Another other trick is to only contract help from people who question the validity of your problem definition. Finally, if you can, try and find advisers that understand holistic/multiple aspects of organisational development (yes they do exist! ).